Cassandra is a teenage Young Adult Author who splits her time between Los Angeles and New York City. She has loved fairy tales ever since she was a little girl. With the help of her publishers Bill and Gayle Gladstone her dreams of becoming a published author have come true! Her first novel, "If You Wish" was released in September, 2016 and recently won the 2017 West Region-at-Large Scholastic Art and Writing Gold Key Award. Cassandra is currently in the process of writing her second book, Big Green Eyes. If You Wish was named a Finalist in the Young Author (written by under age 25) category 2017 Next Generation Indie Book Awards. As You Wish has been selected to receive the Literary Classics Seal of Approval. The CLC Seal of Approval is a designation reserved for those books which uphold the rigorous criteria set forth by the Literary Classics review committee, a team comprised of individuals with backgrounds in publishing, editing, writing, illustration and graphic design. "Cassandra Briskman is the real deal. Don't bother asking the age of this remarkably talented first-time author until you finish her delicious tale of a girl struggling to bushwhack her way through the wilds of adolescence while encumbered by an impressively dreadful stepmother, and two nastily entitled stepsisters (one of whom ultimately must find her own agonizing path to teenage redemption). 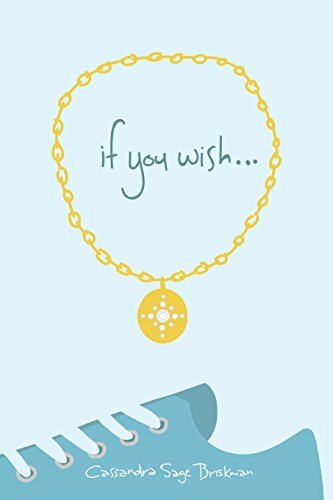 "Yes, If You Wish is a contemporary, Los Angeles-based Cinderella, whose teenage outcast heroine is sorely in need of a fairy godmother. Instead she finds a whip-smart and equally solitary, hoodie-wearing boy named Julian, and the literary companionship of Harper Lee's Scout. "Ella's harrowing and humorous journey to find her place in the world is one that many teen readers will instantly recognize. And Cass Briskman is assuredly an author to watch." "A fun frothy read from a young writer with a big future."